The Zumba® program is an exhilarating, cardio dance-fitness program of on-going classes that's moving millions toward better health. Classes blend upbeat world rhythms with easy-to-follow choreography, which provides effective, total-body workouts. Costs: $35 dollars for the 7 Session Saturday special. Also, check out the Zumba Class on Monday nights and Zumba Toning on Thursday nights. 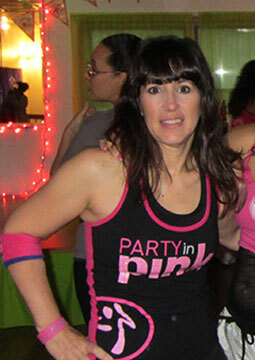 Lake Carmel resident Corrie Russinko is a licensed Zumba®, Zumba Toning®, Zumba Gold®, Zumbini, Zumba Kids® and Zumba in the Circuit® instructor. She is trained with Silver Sneakers, in all 3 Boom formats and is certified in CPR/AED and as a Group Fitness instructor with AFAA (Aerobics Fitness Association of America).